A 12-week, immersive bootcamp is a long time to be away from a job and personal commitments. After hearing feedback from students, Hackbright Academy wanted to offer their students a chance to learn and change their careers, without compromising their income and work-life balance. Hackbright Academy’s Senior Director of Education, Meggie Mahnken, tells us about the curriculum in their new 24-week, Part-Time Software Engineering Program, the pros and cons of learning part-time, and how Hackbright will support the unique goals of their Part-Time Program students. The curriculum and admissions process are the same as the Full-Time Hackbright Academy bootcamp that people know and love. Expect slightly different career preparation, as Part-Time students may have unique goals (like getting a promotion at their current company)! The next part-time course starts February 6th – apply here! As the Senior Director of Education, what are you up to at Hackbright Academy? I primarily work with the education team to maintain the Hackbright curriculum and make sure our instructors and TAs have what they need in the classroom. I was originally an instructor at Hackbright so I still do some lecturing and hang out in the labs while students are pair programming to see them in action. I help students build projects, and give advice on some of their bigger technical questions. I also work with all the teams at Hackbright to ensure we accept the right people into our programs, and that we’re finding more women who are interested in tech. Overall, I contribute to the long term strategy for Hackbright Academy by figuring out how we can more efficiently educate women, creating a curriculum that stays up-to-date and marketable and offering our alumnae more resources for their job search. What inspired you to join Hackbright Academy? I attended Hackbright as a fellow in 2013. I studied Gender and Women's Studies in college, so I knew I wanted to do something related to women in the workforce. Attending Hackbright as a student was really about my love of programming. When I started learning Python I thought, "Let me put down my other aspirations and follow my fascination into a career." When I graduated, I realized what a unique organization Hackbright Academy was, and I was really impressed with Hackbright’s curriculum and goals, and that drew me to work with them. I started out on the engineering side, building internal tools, then I became involved in the classroom. Meeting these women who are courageous enough to change careers, learn new skills, do something really hard like a coding bootcamp and then get a software engineering job – is illuminating. There are ups and downs and it's hard, but it's one of the most rewarding jobs that I could have ever hoped for. Also, it's not hard to find people who want to be mentors at Hackbright. People find it inspiring to work with these curious, highly-motivated women who are doing this course. If you like teaching, you’ll have such a captive audience with these women. They want to get to the heart of every topic that we cover. 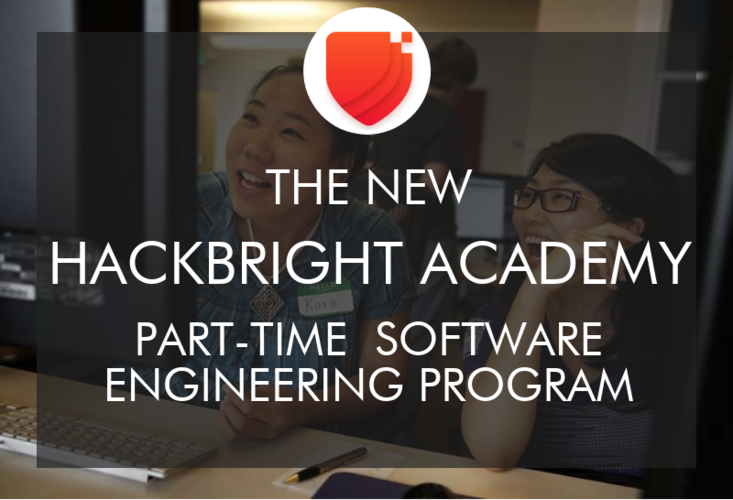 Why did Hackbright Academy decide to offer this Part-Time Program? Did you see a demand from women who needed a part-time option? We ask for and get, an immense amount of feedback from our prospective students, current students, and alumnae – it’s at the heart of the education team’s work. We noticed that people were explicitly asking, "Is there any way that this program can be less disruptive to my life?" We try to maintain a boundary between 10am to 6pm so that women can still try to have a life. But people would continue to comment that the course takes over your life as you juggle your schedule and responsibilities outside of work. You have to quit your job, and put everything on pause. We've had this part-time idea for a long time – a notion of creating something similar to the executive MBA where people continue with their job, and maybe their employer is even an advocate for them to attend the course and will pay for it. Have you heard feedback from employers? It can be hard for the employer to say, "Yeah, we are going to give up our excellent worker, have them take a break or quit, and we may or may not get them back after they graduate. We want her to blossom into an awesome software engineer, but what does that mean for us?" We hear from employers who have female employees that want to do Hackbright Academy. A part-time course opens up that option. How is the Part-Time curriculum different from the immersive Full-Time Software Engineering Program? The part-time course is exactly the same, apart from the schedule. Classes are held Tuesdays and Thursdays from 5:30-9:30pm and Saturday 10am-6pm. Students are going to have more time to marinate in the material by nature of the fact that the course is twice as long. We know that the dynamics of the nights and weekends course will be different from the intensive, immersive program. A 24-week course might be an advantage because students can study more; on the other hand, because students have more time between lectures, it could take longer to get back into that headspace. The only aspect of the curriculum that is changing is the career services portion at the end. Currently, the last two weeks of the Full-Time Program are career-oriented if you want to start a full-time job search. We recognize that for people continuing with their full-time job and doing a part-time course, the topics might need to shift towards advocating for oneself in the workplace to get a promotion or move into a technical role. We’re rethinking some of the career training to tailor it to the actual goals and career plans of each student. Do Part-Time students need unique types of support from the Hackbright team? There are a couple of mechanical ways that we're going to tailor this course for people who have a lot of other things going on in their lives. First off, we've created the schedule for this course so that it honors three-day weekends when there is a public holiday. The course runs Tuesday, Thursday, and then most Saturdays. There are no classes on Saturdays that fall on a holiday weekend so that students can plan a longer break for themselves. We’re also adding remote advising appointments so students won't have to be in person at the Hackbright campus to do their regular 30-minute advising meetings. We can schedule meetings during a student’s normal day – during lunch or on a Saturday afternoon. That cuts down on students’ commutes. Overall we have an eye towards students' other obligations throughout the course. We'll be creating a deadline for assessments, and assigning homework in a way that doesn't expect that you're going to drop everything in your life to get a project finished in one night – that will be baked into the various deadlines. How many instructors are teaching the Part-Time Program, and what is the student to instructor ratio for the Part-Time course? This is exactly like the Full-Time Program. We typically have two core instructors throughout the course who are giving the majority of the lectures with the help of another instructor. That might be me or an instructor from the Full-Time Program who gives guest lectures. We may incorporate different people like teaching assistants, but there will always be those two core instructors for each class. What’s the ideal student for the Part-Time Program? 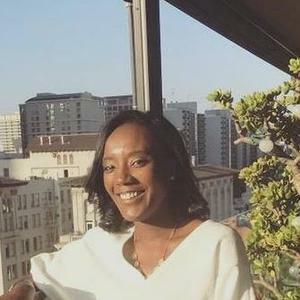 The part-time student is likely already in a professional job – maybe she works in publishing, maybe she’s a lawyer, or maybe she works at a tech company in a nontechnical role. Many students may have weekly family obligations to participate in and may need to keep their job, so they are trying to skill up while not completely putting everything on hold. This course is for someone who wants to take a different financial approach to skilling up. With the part-time program, you can continue to earn your regular living while also contributing some of that towards your education. Like the Full-Time Program, we’re looking for applicants who like coding and have tried coding enough to know they like it. And we're still looking for people who want to become software engineers, but they might be looking for a longer path into that role. Or someone who has the wonderful opportunity to possibly shift roles within the same company. Is the admissions process for the Part-Time Program different? The admissions process is exactly the same as the Full-Time Program. It's basically two interviews – one qualitative interview with our admissions team, and then there's the technical interview. The technical interview is remote, over the phone, using a collaborative coding tool in a web browser where you work on a problem with me or another member of the education team. How does Hackbright assess student progress and support part-time students who might fall behind? First, we try to put in the hard work during admissions – the technical interview assesses if a student has the fundamental core skills to fully take advantage of Hackbright. We want to make sure that students’ time, energy, and money isn't wasted because they weren't completely ready. A lot of the problems with “falling behind” can be mitigated if you really find and encourage all prospective students to be ready to hit the ground running on day one. That's been a challenge for all coding bootcamps, but it's disruptive for students and their learning. However, this course is incredibly challenging, and every student comes in with less experience/readiness in certain areas than others. For each student, there will be tougher days and easier days. We’ve designed lectures and exercises that clearly outline the required content, but provide “further study” opportunities. There are also regular 30-minute one-on-one advising meetings which can include tutoring. When someone starts to fall behind, those meetings can shift to 100% tutoring so that students better understand a topic. You can’t repeat a segment at Hackbright, so we make sure to provide regular assessments so that it’s easy to identify what a student needs to work on versus what they understood. Will part-time students see similar job search outcomes as full-time students do? Honestly, I think the Part-Time Program will only make the job search easier. Taking off three months and then having that hanging over your head thinking, "I haven't worked for three months and now I need a job," seems more overwhelming than, "I have been working for the last six months. I have this new skill, I’ve been saving money, and I can stop and now fully dedicate a good couple of months to really interviewing and applying.” I hope my hypothesis will be true but we don't know yet – our first Part-Time course launches February 6, 2018. Is there a big lesson that your team learned throughout the time of operating the Full-Time immersive course that you applied to the Part-Time Program? We’ve been operating for five years and we have a lot of skilled people on our education team that help us replicate results and build our wisdom over time. One of the lessons we’ve learned is about the Independent Project, and we’ll bring that to the Part-Time course. The major goal of the Independent Project is to learn, not to create a project that you’ll take to market when you graduate. The Independent Project is designed to solidify the core agile web development skills presented in the first half of the program, in a way that honors student interests and passions. We’ll also keep an eye on work-life balance, which is especially important. We want to know students’ external stressors and keep a constant dialogue going to make sure the entire class is happy and learning. We already have to battle imposter syndrome – everyone does, whether you're in an all-women’s bootcamp or not. When you work with women who are changing careers through a bootcamp, you have to provide a really positive and encouraging influence on regular basis. Plus we’ll always take feedback – there's always something that we can improve. The Hackbright Academy team listens and is thoughtful about what people are asking for. What is your advice for students embarking on a part-time program? Any tips to get the most out of a Hackbright’s Part-Time Program? Have a routine and a strategic plan to fall into throughout this six-month experience. Ask yourself, "What do I need when I get stressed out? How can I keep myself accountable?" Don’t get to the point where you’re losing out on your normal life (remember to eat)! Even more important advice – interview software engineers. When you are about to make a career change, even if you’re unsure what role you want, interviewing people already in those roles could help you with imposter syndrome, and debunk any myths. Find someone via LinkedIn, someone in your network, or a Hackbright alumna and ask, "Hour by hour, what did you spend your time on today?" Sometimes that can help with your confidence. Just by hearing what their job is like, it can inspire you and help propel you forward. Then when you feel stressed out or overwhelmed, you can think back to these insightful conversations. Do you have any tips for preparation for Hackbright Academy’s Part-Time Program? Head First Python is a perfect book to delve into. If you want an online book that you don't have to buy, How to Think Like a Computer Scientist is excellent. Going on any site where you do muscle-memory type coding challenges such us HackerRank and any of those code challenge websites are also not bad places to start. Read more Hackbright Academy reviews on Course Report. Check out the Hackbright Academy website!